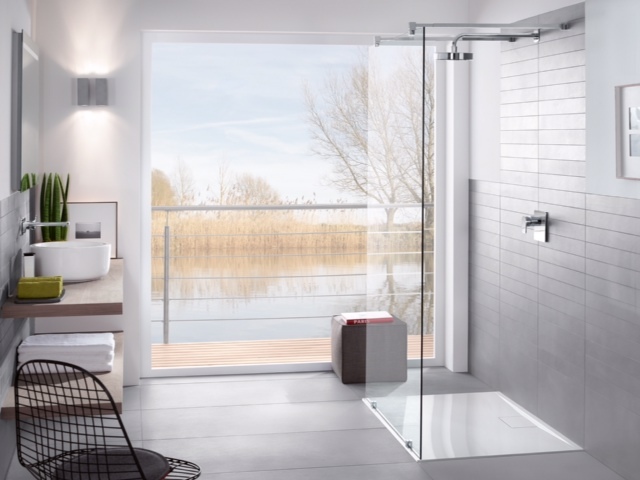 This new, beautifully sleek product from Villeroy and Boch is the perfect complement to any luxury new build bathroom. With three installation options, this new range of shower trays offers the perfect choice for luxury new builds. The MetalRim Shower Tray can be either installed flush with the tiles, on the tiles or on a pedestal. The minimalist design is completed by a flush fitting outlet and a high-gloss finish, with an easy to care for non-slip coating. MetalRim is a new structural innovation from Architectura which is impact resistant, supporting all four sides with galvanised steel rims and offering the highest level of strength and safety, making it one of the strongest in the industry. The new MetalRim Technology offers maximum stability, whilst maintaining that exquisite aesthetic beauty giving a luxurious feel to your bathroom. Architectura offer 31 different models with two rim heights, so the shower space can be tailored to your needs. 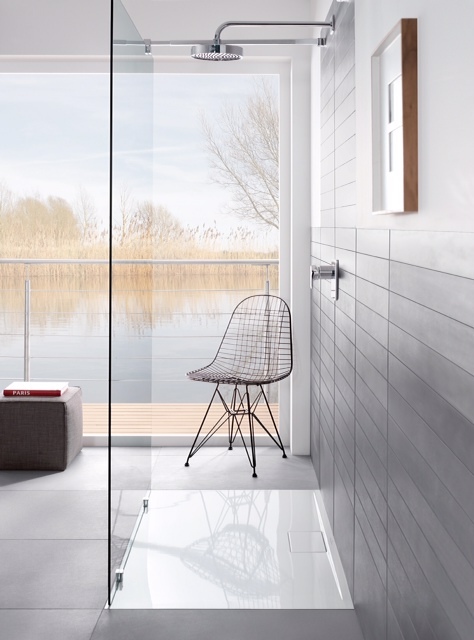 Showers are the perfect place to invigorate first thing in the morning and de-stress in the evening, so it’s important to design and create a space that you feel comfortable in. The options are endless and you can choose any tap fitting or enclosure to create that luxury, modern feel to your bathroom while ensuring it still meets your requirements. For example, if the tray is flush fitting and the right surround chosen, you can create a walk in shower that offers easy access to everyone. These gorgeous shower trays are ideal for installing in new build homes alongside the latest textures, colours and products, to give a high quality, luxurious feel and create your own bathing space that is truly exquisite and unique. This entry was posted in Luxury Bathrooms, Luxury Showers, New Products, Villeroy & Boch and tagged Architectura, Flush Metal Rim Shower, New Flush Metal Rim Shower Tray, Walk in Showers. Bookmark the permalink.